Published on 5 February 2012. The lake in Paddy Freeman’s Park is frozen today – which is a bit surprising, given that it doesn’t feel nearly as cold as it looks. 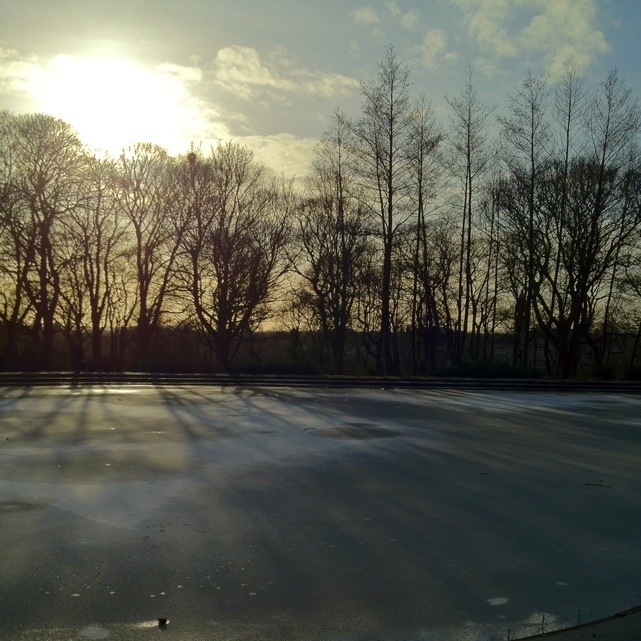 This 1,511th post was filed under: Photo-a-day 2012, Newcastle-upon-Tyne, Weather, Winter. Comment posted at 03:00 on 9th February 2012. Paddy Freeman’s Park is situated to the north east of Newcastle City Centre in the Dene ward and is a very popular park.